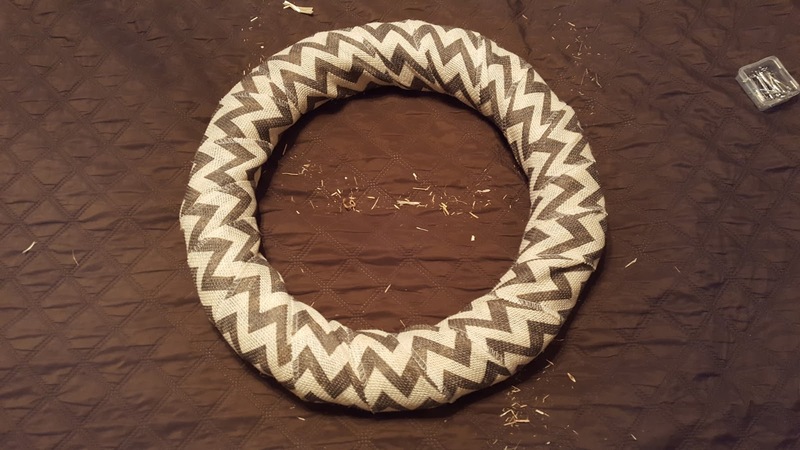 Wreaths have become my favorite DIY the past year or so. I've enjoyed giving them to friends and family as well as making a few for our door. 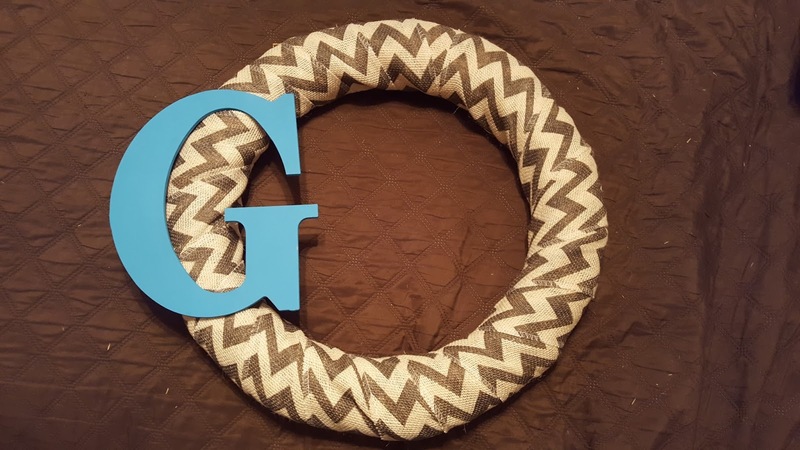 This straw wreath is super easy and totally able to be customized for any season, holiday or any way you want. 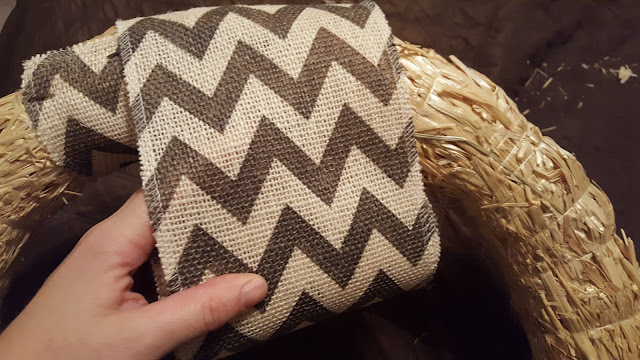 I've found a pretty orange polka dot print burlap ribbon that I'm planning on making a Halloween wreath for us, there are lovely chevrons and lots of other prints. Found the best ones at Hobby Lobby but Michael's and Jo-Ann Fabrics have different prints as well. 1. First set up your little painting station and decorate the letter or other wood decorations. I'm a fan of the one solid color letter but this time decided to try something a little different. 2. 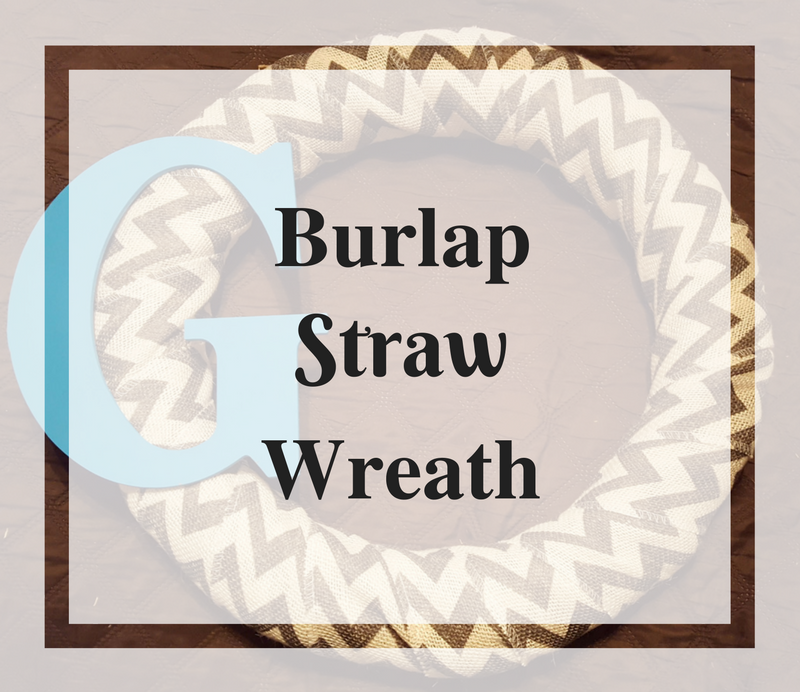 While the decorations are drying, take the straw wreath and secure the end of the burlap ribbon to the back side of the wreath. 3. Wrap the ribbon around the wreath. With the different patterns you can find the burlap ribbon the end look is up to you and can be very different for each wreath depending on how you wrap. 4. 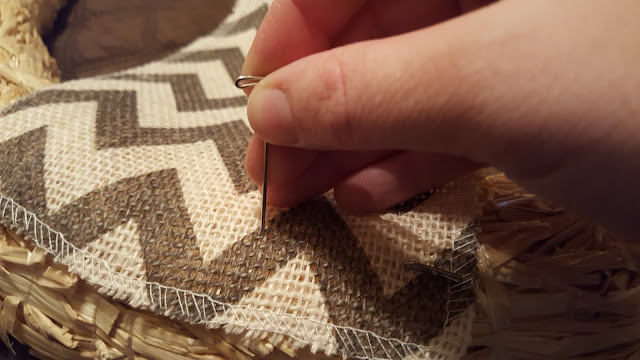 Leave enough on the end to fold over and pin with the T pins. 5. 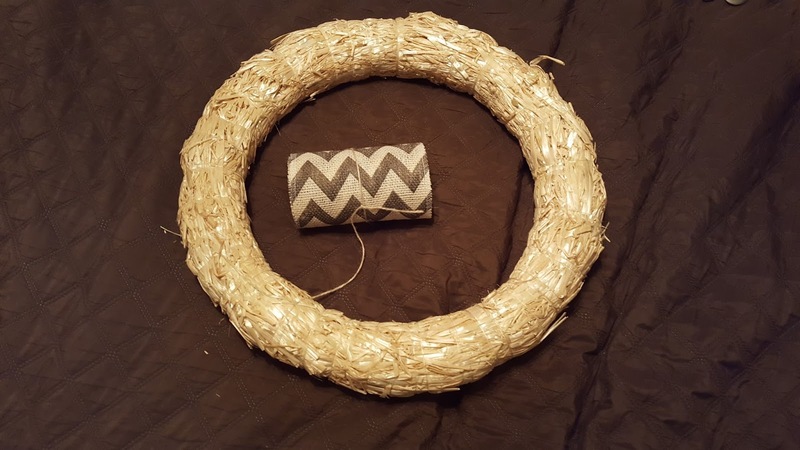 Cut the floral wire so it can wrap around the wreath. 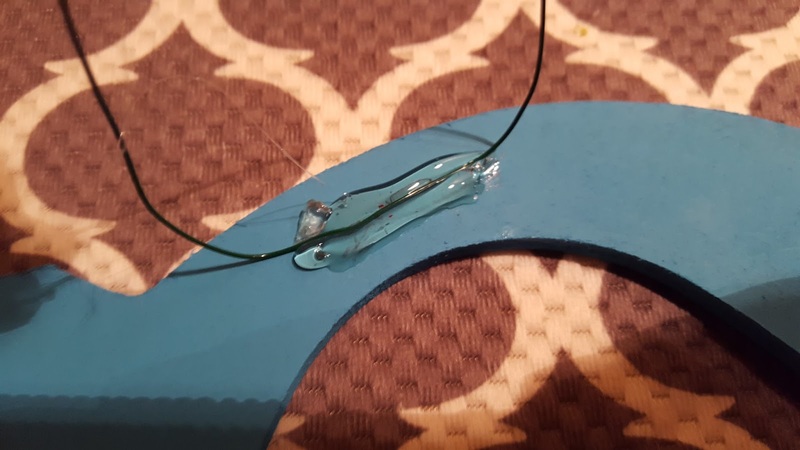 Then make a small hot glue line on the back side. 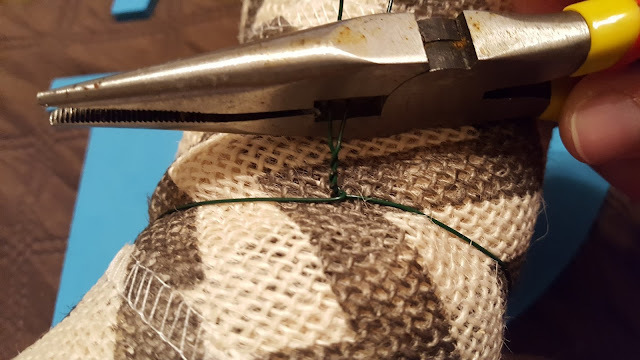 Take the cut wire pieces and push them into the glue. If you're brave when the glue has cooled a bit push some of the glue over the wire so it's even more secure. 6. Cut the wire and secure the end so it won't poke anyone.